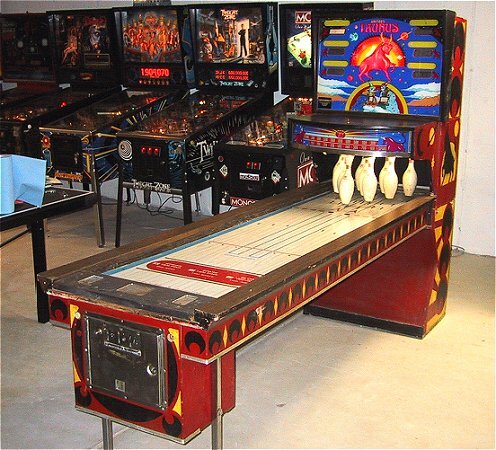 Click here for more pinball at Mark's Pinball Page! I picked up my Taurus Shuffle Alley in a trade in November of 2001. I had picked up a Stern Flight 2000 in a deal with a Williams Firepower II and I wasn't really interested in getting the F2K restored and running. I had made the decision at the time to concentrate on early Williams games since I knew how to fix them and had acquired a good stash of parts. I was learning that attempting to own and restore machines from multiple manufacturers was starting to cost a lot more money that I had bargained for. 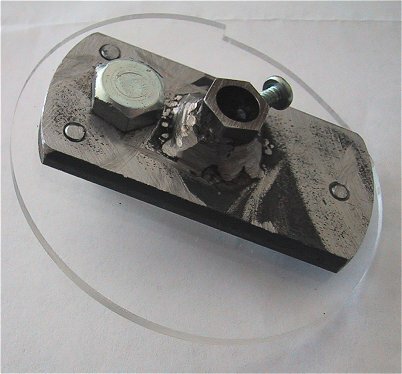 No Stern parts work in Williams machines and vice-versa. A friend had picked up a couple of video games and shuffle alleys at a recent auction and asked if I was interested in any of them. He had an old Atari "Super Breakout", which I used to play in college, so it became my only video game. 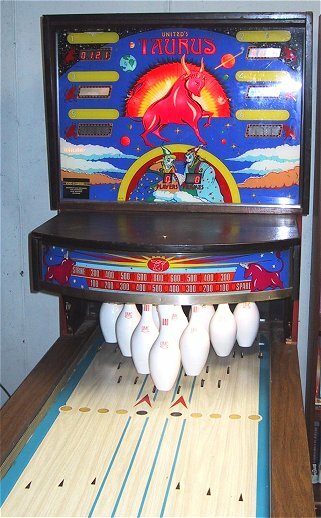 I knew nothing about shuffle alleys at the time, but after opening up the backbox, I realized that they were nothing more than pinball machines with "pins"!. The Taurus was missing the display driver and had a decrepit looking System 4 board in it. I disassembled the thing into about 8 pieces and brought it down into the basement. My wife decided that it looked like fun and suddenly it was at the top of my restoration list. I have yet to get the MPU board working and I think the ROMs are bad. I've been unsuccessful in my quest to find the ROM images for Taurus, so if you know where I can get a copy of them, please let me know! I did however have a set of chips for another Williams Shuffle Alley ("Shuffle Alley" I think) and since all Shuffle Alleys are exactly the same thing mechanically, with just different paint on the outside, the game boots and plays with the newer ROMs. What you're looking at is the pin reset motor and the reset lever. What's missing from this photo is the cam that connects the lever to the motor and controls the leaf switches. The reset motor works somewhat like a car's windshield wipers. 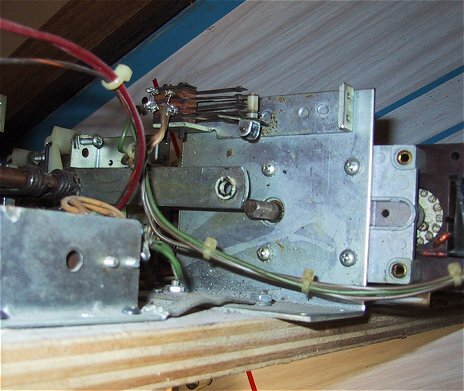 Its started by a solenoid on the driver board, but the connection is kept "alive" by a leaf switch being engaged. 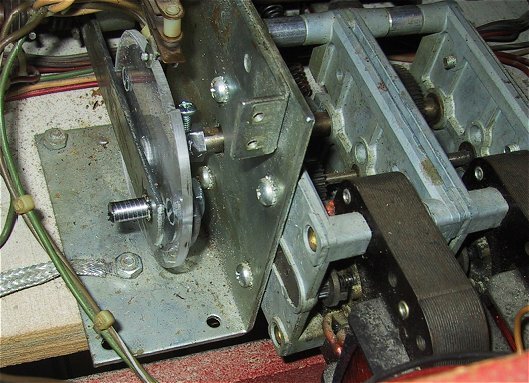 When the motor has turned a full revolution, a notch in the cam disengages the leaf switch and the motor stops. 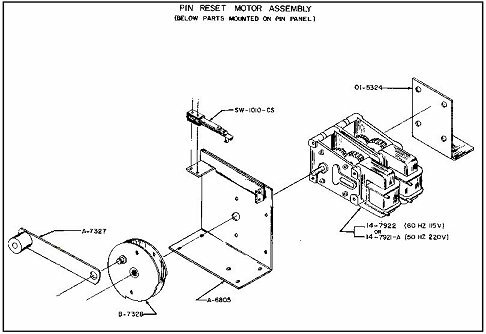 All I had to go on was this drawing from the Williams 1980 parts catalog that showed the missing cam. I started a three month quest to find the missing cam. Multiple posts on rec.games.pinball and other arcade related newsgroups only turned up other folks looking for the cam! 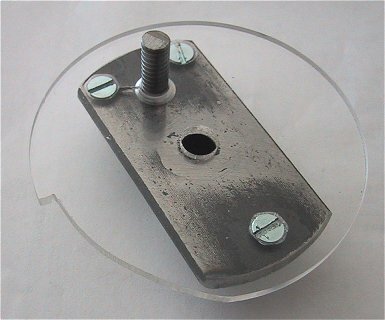 I emailed every parts supplier I could find, plus I went through Google and Google Groups looking for web sites and old posts regarding shuffle alley parts. Every vendor I emailed said no part existed outside of a working game. To say its fits perfectly would be an understatement! When we installed it, 9 out of the 10 pins reset on the first try. A quick adjustment at the 10th pin and the shuffle alley lives! I ordered a new set of pins for it, repaired the coin door and cleaned it up and we have a working shuffle alley. I still need to add some displays, only players 1 and 2 are currently working, but that I can do at a later time. The game is a ton of fun when you have a crowd of people over. Its also about the only way I'll ever make a 7-10 split! Back to Mark's Pinball Page!